Manchester, the seat of Clay county, was established along Goose Creek in 1807 as Greenville, named for Green Clay, for whom the county was also named. It was renamed Manchester later that year since there was already a Greenville in Muhlenberg county. The town was probably named Manchester for the city in England, reflecting local hopes for a future in industry. Manchester was incorporated in 1844. The post office opened in 1813 as Clay County Court House. The population in 2010 was 1,255. 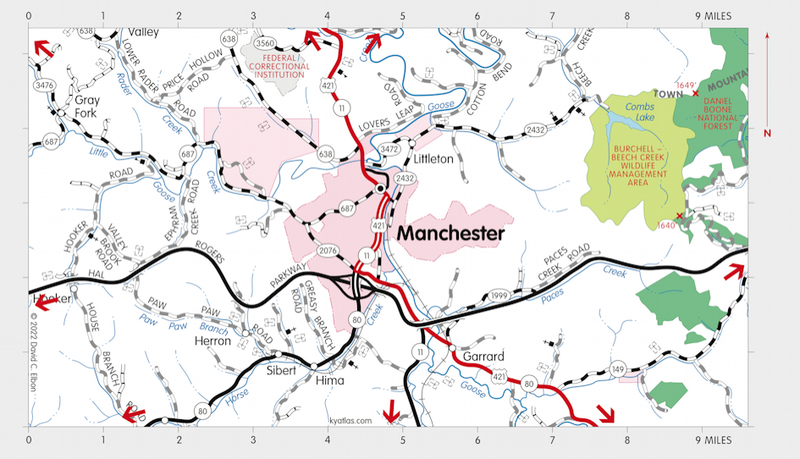 Manchester has been designated a Kentucky Trail Town.